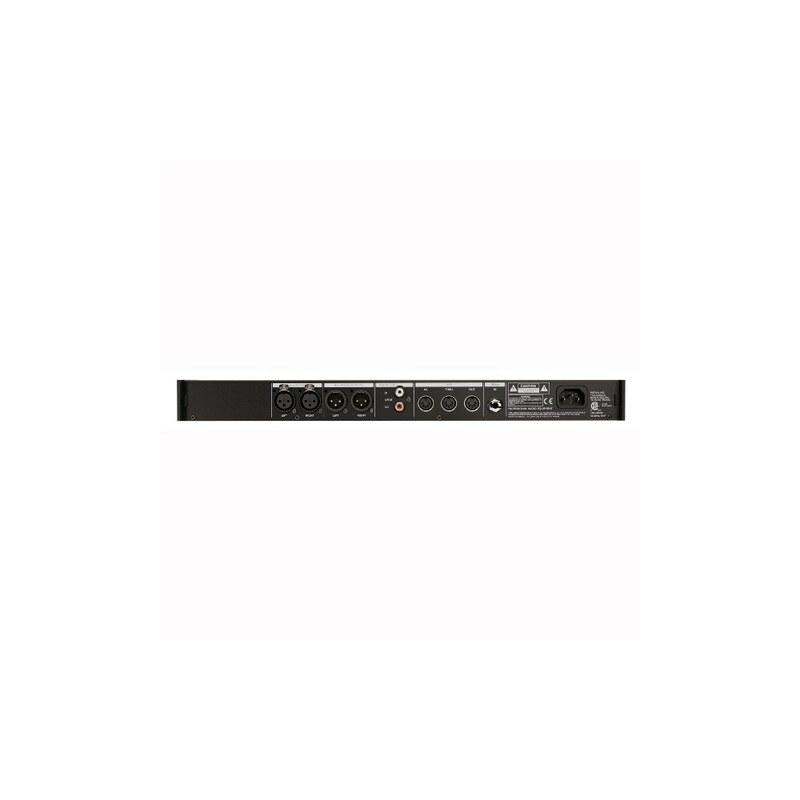 tc ELECTRONIC M ONE XL The M One combined more than 20 years of know how and experience in meeting the demands of the audio industry with solutions! With the introduction of the M.ONE they add a brand new feature to the multi-award winning Ultimate Sound Machines: Affordability! 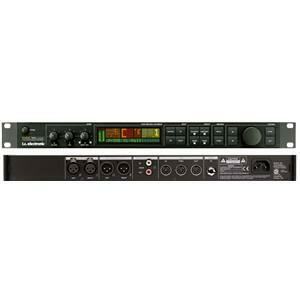 It runs two of the best sounding reverbs or other quality effects simultaneously without compromising sound and has more flexibility to create cool quality effects with instant control of all vital parameters right at the fingertips. It enables users to get right down to the business of making music instead of wasting time programming. 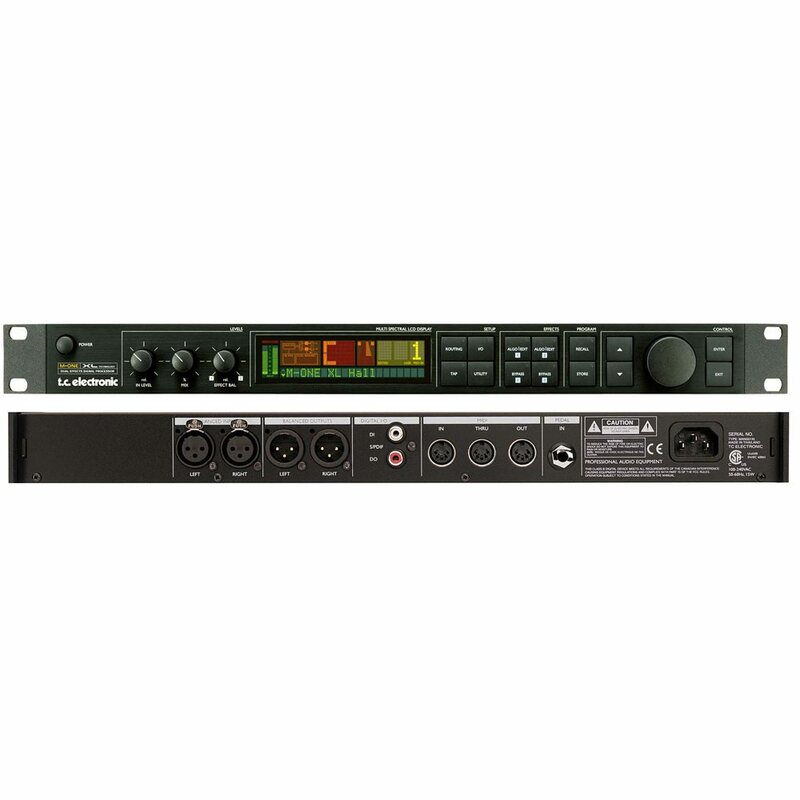 Features include: 20 incredible TC effects including Reverb, Chorus, Tremolo, Pitch, Delay, Dynamics. There is an Analog-style User Int, 100 Factory/100 User presets, Dual-Engine design, 24 bit A/D-D/A converters, S/PDIF digital I/O, 44.1-48kHz, 1/4` Jacks, Dual I/O, 24 bit internal processing.